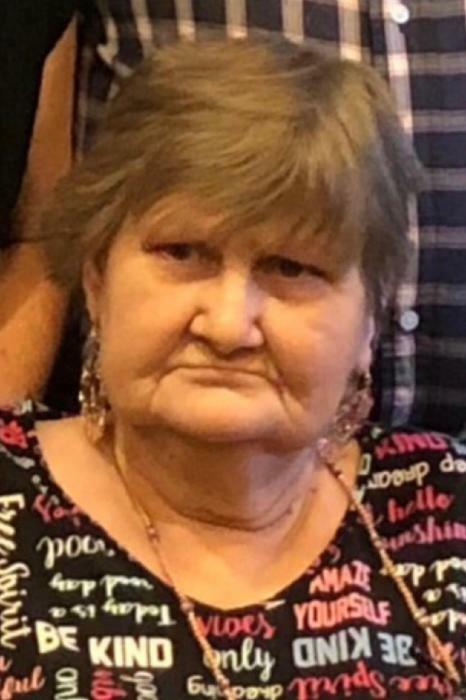 Dorothy Lynn “Dot” Bradley, age 62, passed away Friday, February 8, 2019 at the Glenvue Health and Rehab surrounded by her family and under the care of Community Hospice. She was born December 31, 1956 in Ludowici to Charles Lawrence and Edna Yarbrough Bradley. She had lived in this area most of her life. She had worked in food service for many years at Ingles, Subway, Walmart and the past several years at the Glenvue Health and Rehab. She loved to cook, read, watch tv and do puzzles. Dot was a member of Gumbranch Baptist Church and was preceded in death by her parents; son, Robbie Floyd, Jr; siblings, Ann Osmanski, Diane Manion, and Lewis Bradley. She is survived by her children, Blake (Teri) Floyd of Athens, Jarrod (Ally) Floyd of Gumbranch, and Ryan Secoy of Hinesville; siblings, Alvin Bradley of Phenix City, Al, Gene (Jo) Bradley of Darien, Shirley (Pete) Gillmore of Marianna, FL, Margie (Ronnie) Deloach of Glennville, Faye Bradley of Cartersville, Lloyd (Debbie) Bradley of Hinesville, and Dale Bradley of Long County; grandchildren, Murphy, Avery, Sandy, Seth, Bridget and Callum Floyd; several great grandchildren, nieces and nephews. The family will receive friends beginning at 10:00am Monday, February 11, 2019 at the funeral home with the funeral services to follow at 11:00am in the Chapel of Glennville Funeral Home with the Reverend Storm Rush officiating. Interment will follow in the Little Rock Baptist Church Cemetery. Pallbearers will be Keith Deloach, Matt Deloach, Steven Bradley, Daniel Bradley, Phillip Breningstall, and Cory Breningstall. Glennville Funeral Home is serving the Bradley family.